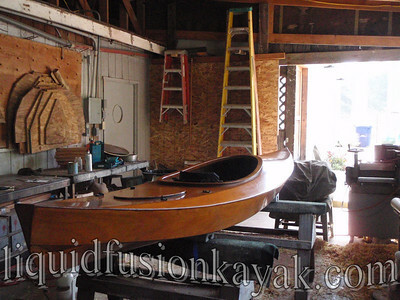 After, four months and fourteen days, the FB Wood Duck 12 is completed and launched. We started the project with naive hopes of a quick build but life happens. 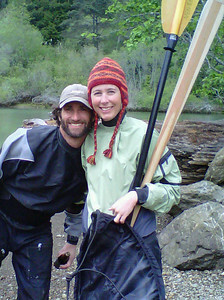 It rained and there were rivers to run, I stepped away to take a class, visitors came to the Mendocino Coast for us to take kayaking, and we actually have a non-kayaking life. At the end of the summer, Jeff and I saw how recreational kayaks made kayaking enjoyable and accessible to individuals who didn't need the performance of a sea kayak and couldn't get comfortable on a sit on top kayak. Performance sea kayaks are efficient and easy after a bit of instruciton and time in the seat but aren't easy for the occasional paddler. Sit on top kayaks are easy but are a wet ride for our chilly 52-54 degree waters and aren't the most ergonomical for many body types. 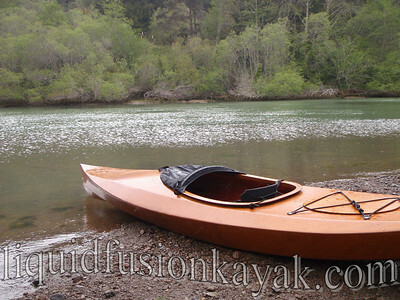 Seeing the need to add recreational kayaks to our fleet that were comfortable and user friendly, Jeff and I began researching what was available. 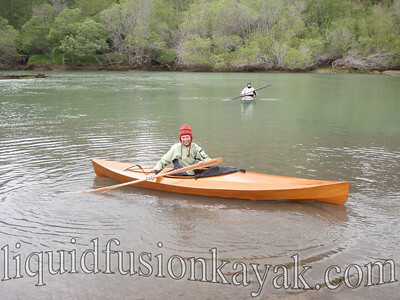 The recreational kayaks that we were finding to be comfortable and easy to use were the "sit in" type with large cockpits and designed to be very stable. 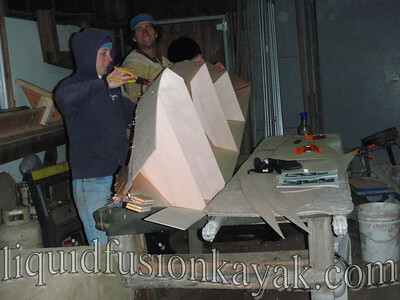 At the time, Jeff and I also were toying with the idea of doing some kayak building. 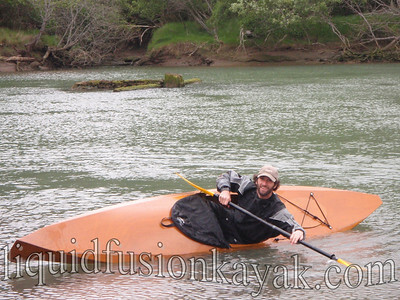 Thus, the idea was born to build a recreational kayak that anyone could enjoy paddling. We selected Chesapeake Light Craft's Wood Duck 12 for this purpose. Stability for a large range of paddlers and ease of construction were our two main factors for choosing the Wood Duck 12. The third being that it has an elegant shape. After launching the FB Wood Duck, we have decided that it is definitely the elegant, stable craft that we were looking for. Of course we put it through the measures, including seeing if we could tip it over and roll it back up. It took quite a bit of effort to tip it over, and Jeff was able to roll it back up. It definitley is a stay upright and enjoy the day type of kayak. For those interested in the building process of the Wood Duck, here is a link to our photos of the construction process. Needless to say that after 4 months and fourteen days, we only built one so stay tuned to see what other additions will be in our fleet soon. We are all smiles that this project is completed!!! Building a wooden kayak is not the easiest thing to do. It should be handcrafted into perfection to be sure that the quality is at top most.